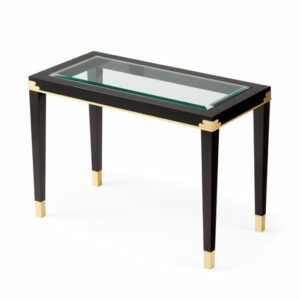 A gloriously glamorous side table with a pseudo nautical bent, our Heliacal side table is beautifully detailed with sign quality engraved brass plate and beveled glass top. 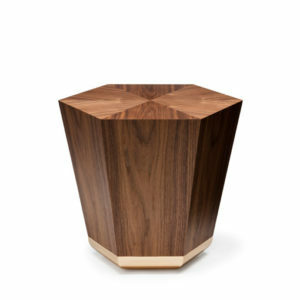 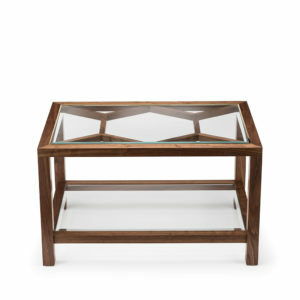 Shown in American black walnut black ebonised satin and polished brass with a beveled glass top. 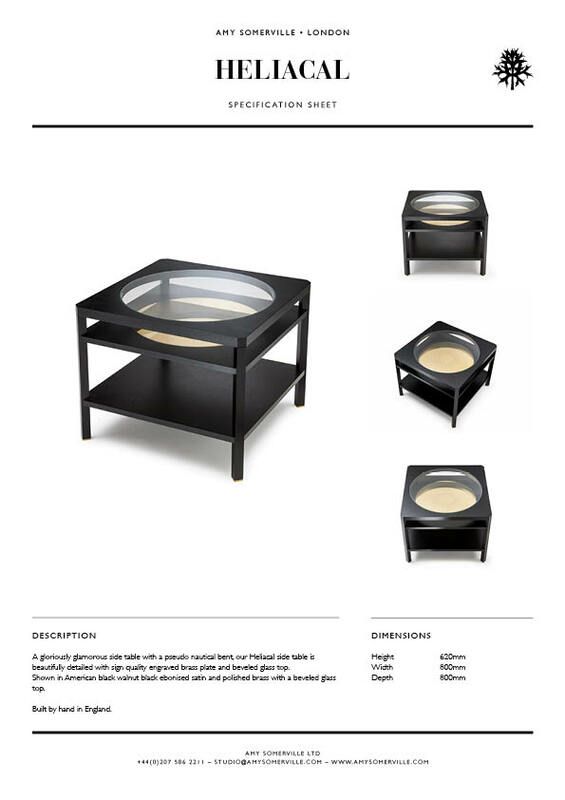  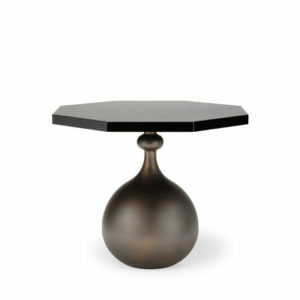 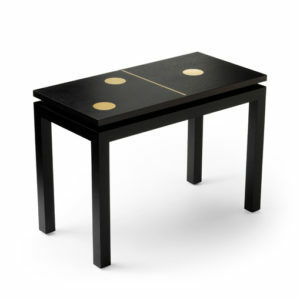 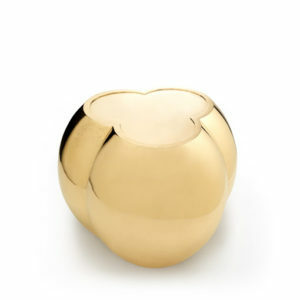 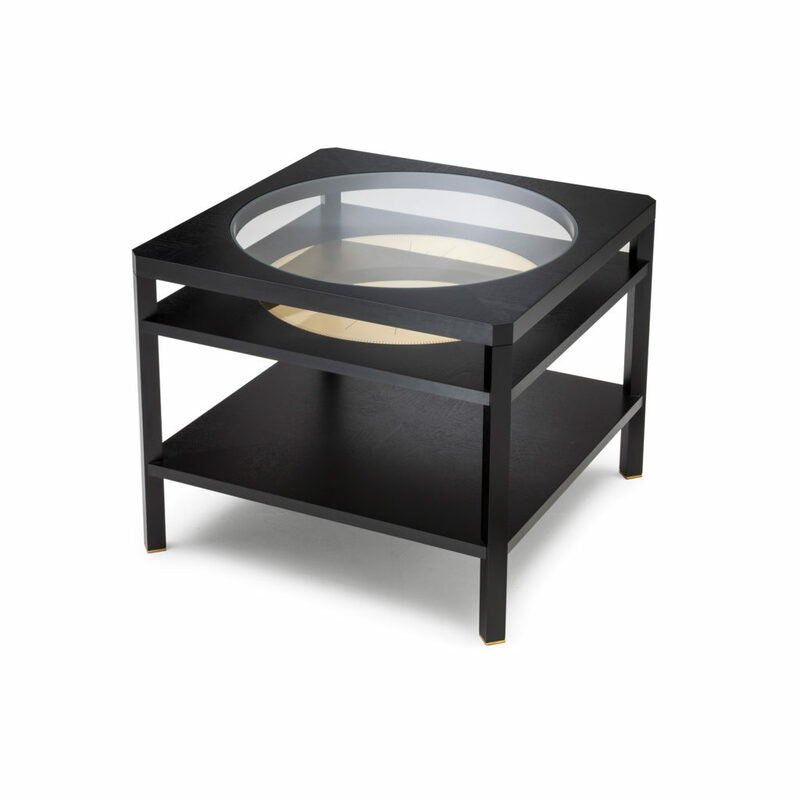 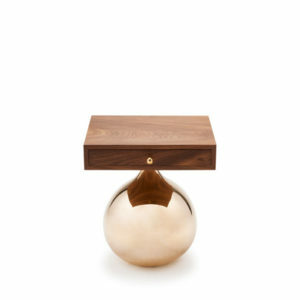 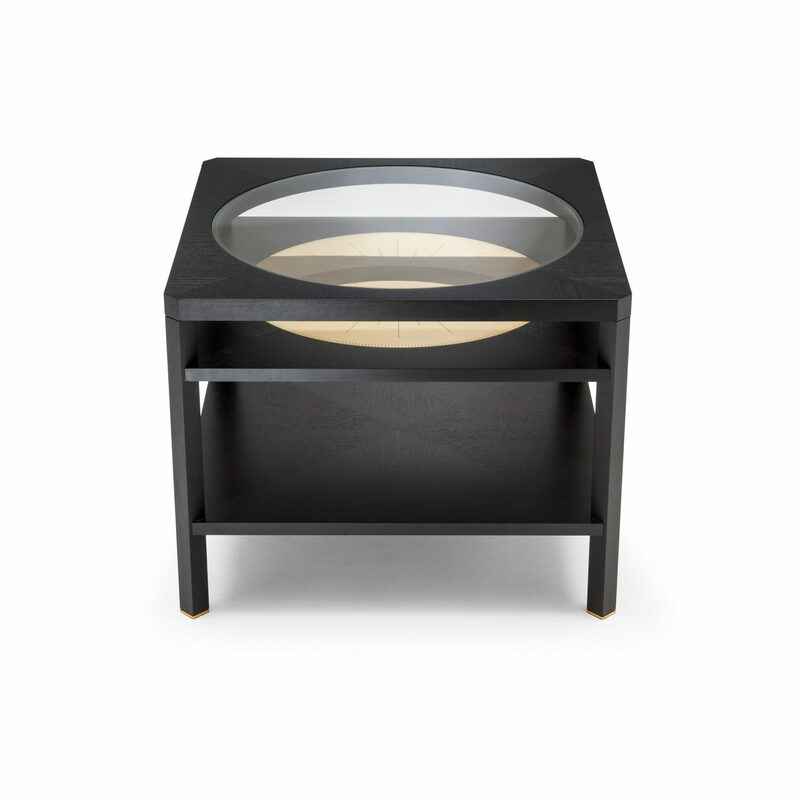 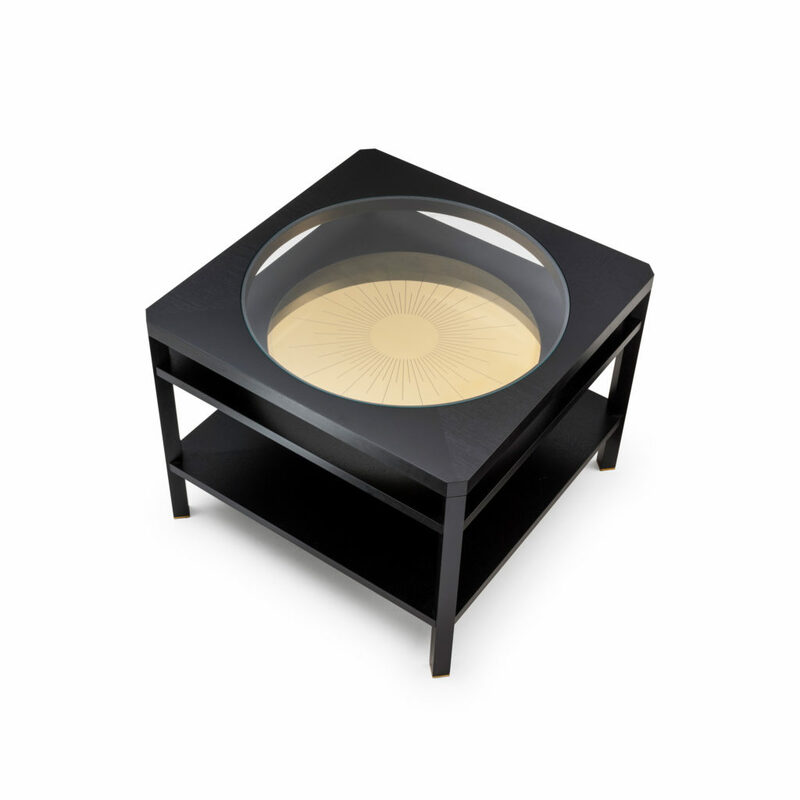 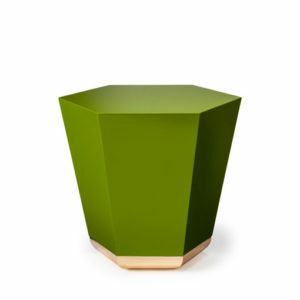 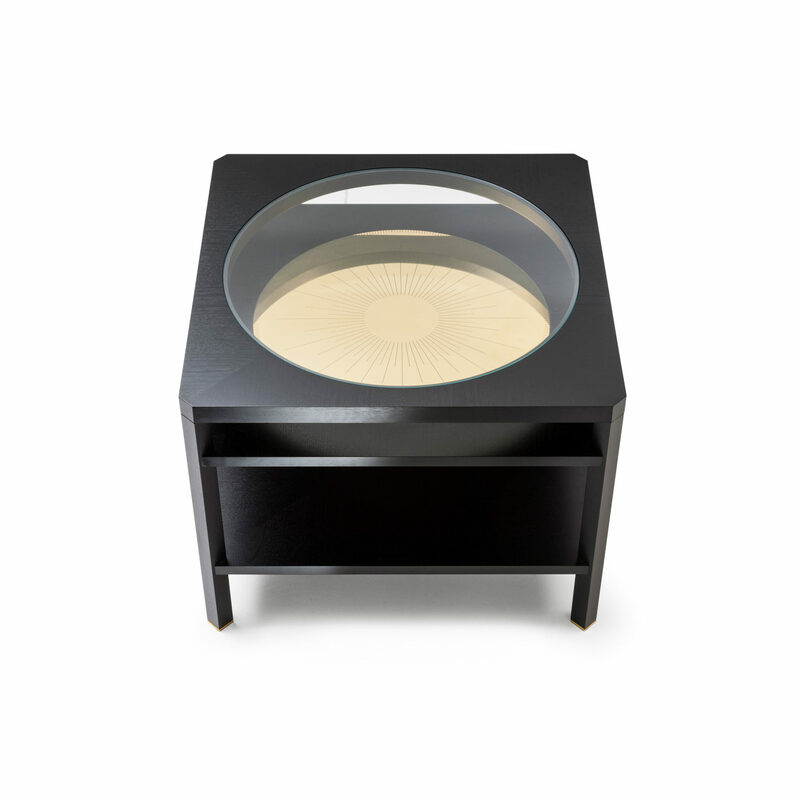 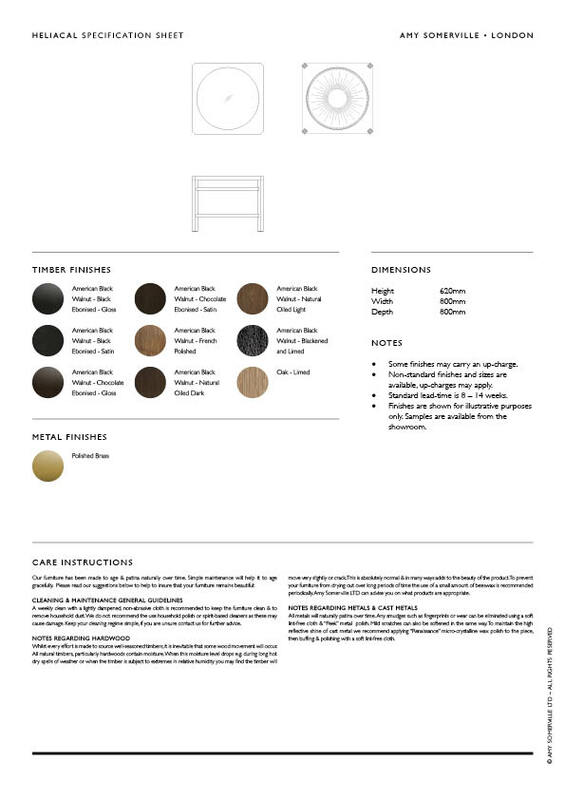 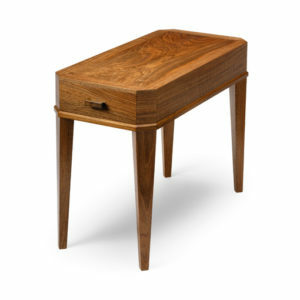 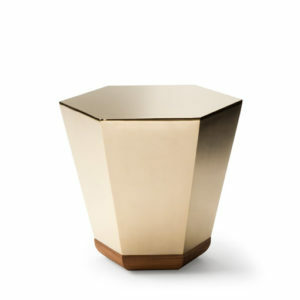 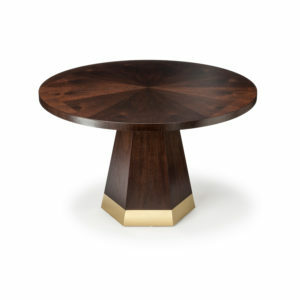 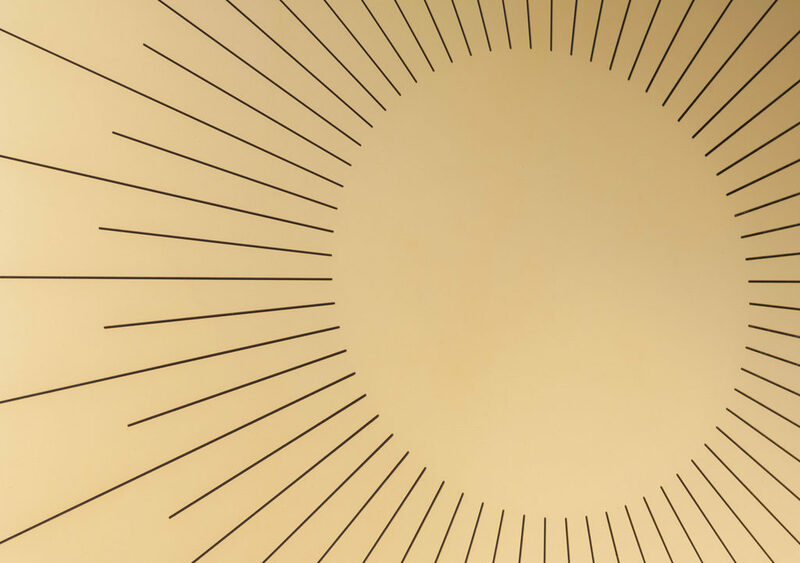 The Heliacal Table features a radiant polished brass disc that sits under a beveled glass top. 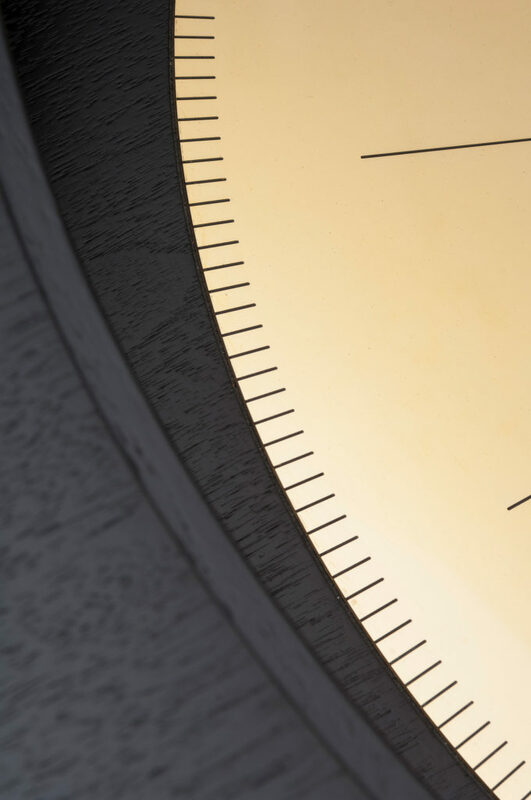 The engraved design is inspired by antique nautical clocks. 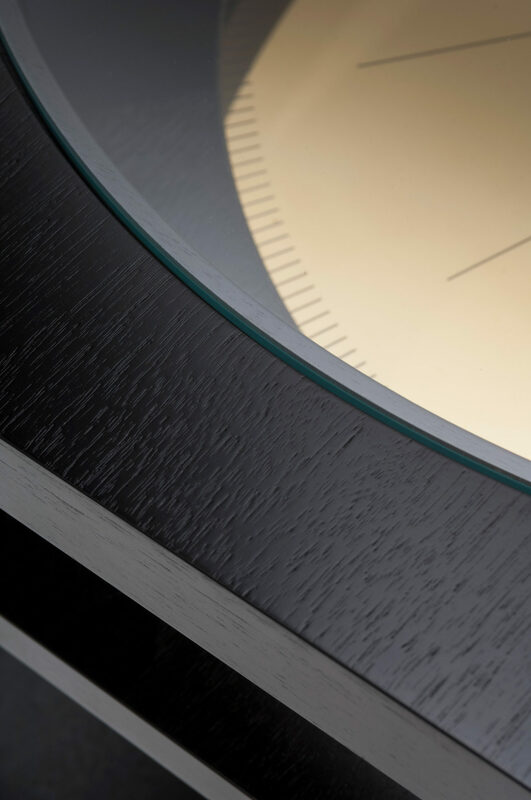 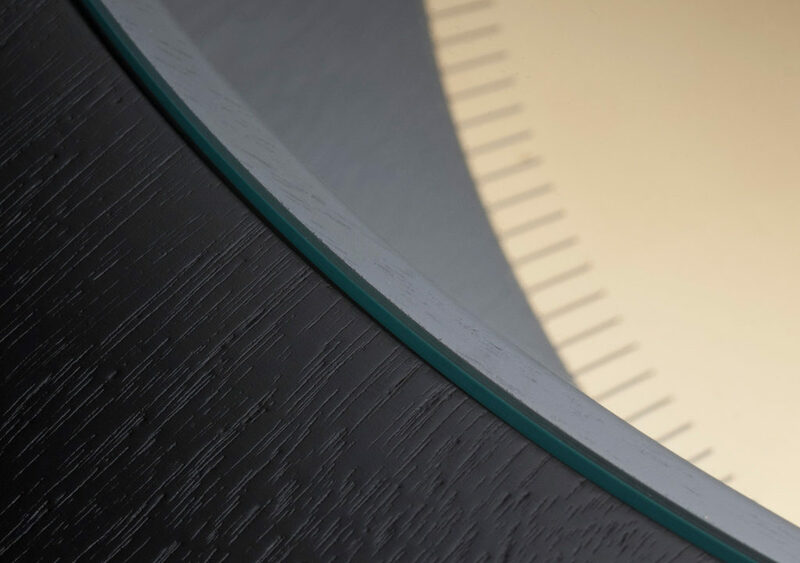 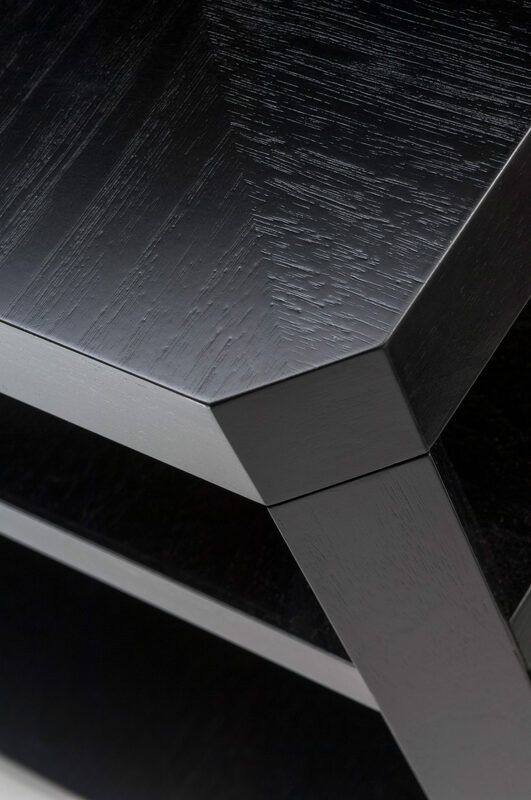 Ebonised American black walnut, polished brass and glass – brought together with precision using time-honoured skills in our English workshops.